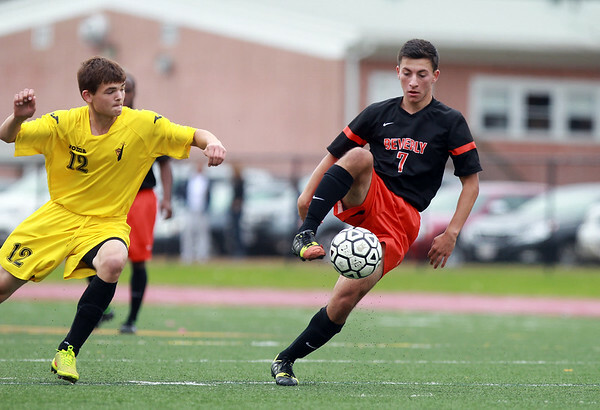 Beverly senior midfielder Alesio Kanani (7) cuts back upfield with the ball after beating Bishop Fenwick sophomore Shawn Carlson (12). DAVID LE/Staff photo. 10/13/14.